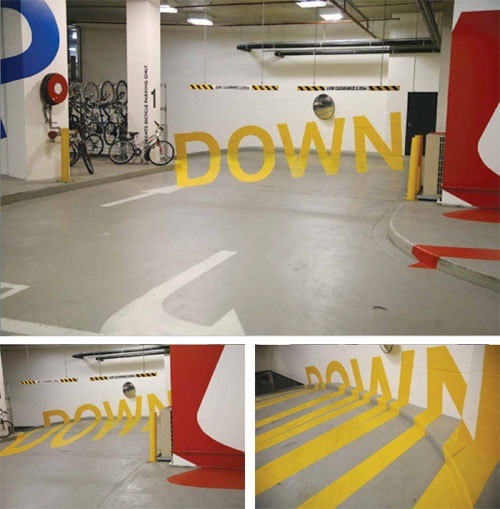 One of the most amazing applications of the painting principles developed in the Renaissance is a process called “anamorphosis,” which is still used today in art, road signs, sports adverstising and more. Anamorphosis is the process by which the shape of an image is changed so that it can only be seen from one specific point of view. In the end, anamorphosis is like a lot of things in life. It only makes sense if you change your point of view.